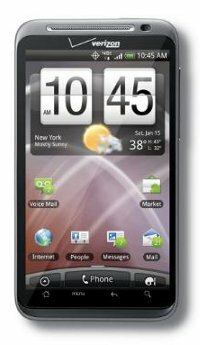 HTC intends to make the most out of this year’s CES by announcing their latest masterpiece, touted to be the first 4G LTE Android smartphone in the world – the HTC Thunderbolt. Needless to say, something as exclusive as this will be made available via Verizon Wireless’ 4G LTE Mobile Broadband network, and you can be sure that with Verizon Wireless, having speedy connections under plenty of areas is something that you can expect without having to keep your fingers crossed. This phone looks set to blaze new trails, and for those who want the latest and the greatest, the HTC Thunderbolt should be on your radar. Also carrying the HTC Sense experience inside for a more enjoyable Android experience instead of the stock user interface, this is also one of the first smartphones to integrate Skype mobile with video calling – a feature that was recently announced, and with 4G connectivity, it makes perfect sense to use the handset for video calls rather than regular phone calls. It will not rely on a standalone application either, as a Skype mobile with video call is easily made – similar to that of a standard voice call, boasting features such as presence icons that indicate the availability status of friends built into the standard contacts list. The inclusion of a front-facing camera will pave the way for simple video calling, while its 4.3-inch display brings friends and family into clear focus. You definitely won’t find the HTC ThunderBolt to be a slouch in any way, as it boasts exceptional speed and power with the latest generation of the super fast 1GHz Snapdragon processor. Powered by Android 2.2 Froyo, other hardware specifications of this beauty include a 4.3-inch WVGA display, Dolby surround sound, an 8-megapixel camera and HD video recording. Wireless DLNA capability is also thrown into the mix, letting the HTC ThunderBolt can easily stream and share content directly with compatible home theater components. Oh yeah, just so that you don’t complain about the lack of storage space, each purchase will ship with a 32GB microSD memory card – now how about that?